Why isn't Digital Britain disability-friendly? Why shouldn't websites and broadcasters have to think about accessibility? 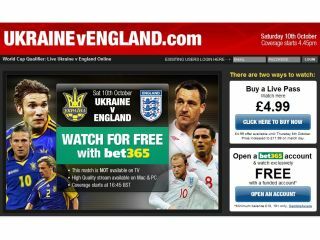 When England played Ukraine earlier this month it was an historic moment - not because it was web-only, but because it excluded deaf and disabled footie fans. As Alison Smith blogged a few days before the game, the match wouldn't be subtitled or audio described. It's not a deliberate exclusion, of course. It's just that FIFA, UEFA and the broadcasters simply didn't think about accessibility at all. And they don't have to. The EU Audio Media Services Directive, which comes into force this year, brings video on demand under the umbrella of existing broadcasting regulation - and that means that the government must "encourage media service providers… to ensure that their services are gradually made accessible to people with a visual or hearing difficulty." Encourage? Gradually? It's hardly a demand for VOD providers to get a grip, is it? According to Ofcom in this PDF, "over the next few months we will be discussing with VOD providers what plans they have in this area. If you reckon Ofcom should be doing more, you'll need to contact them quickly: their consultations on Television Access Services and VOD end on 12 November and 26 October respectively. It's not just video, though. The European Commission has floated the possibility of legislation to force websites to cater for disabled users, and while accessibility is a hot topic among clued-up web designers the Disability Discrimination Act doesn't really say what companies should or shouldn't do. As the RNIB points out, "Service providers are only expected to make "reasonable" adjustments. Note that "reasonable" is not defined in the Act". If Alison Smith's experiences at Birmingham's Hello Digital event - that's the Hello Digital event that's supposedly about the possibilities of digital technology to make the world a better place - are anything to go by, Digital Britain has a long way to go in the accessibility stakes. "The event started at 8am," Smith writes. "They called Birmingham Institute for the Deaf at 10am and the SLI (Sign Language Interpreter) finally arrived at 1.30pm" - more than halfway through the event. "What will it take take for Deaf and Disabled people to be a real part of so called Digital Britain?" Smith says. "Why do we have to fight for our access needs so much? Where are there no live subtitles streaming online at conferences? Where's the audio description? Why aren't websites compatible with screen readers? Why can't conferences get the access right?" They're good questions. Does anybody have the answers?